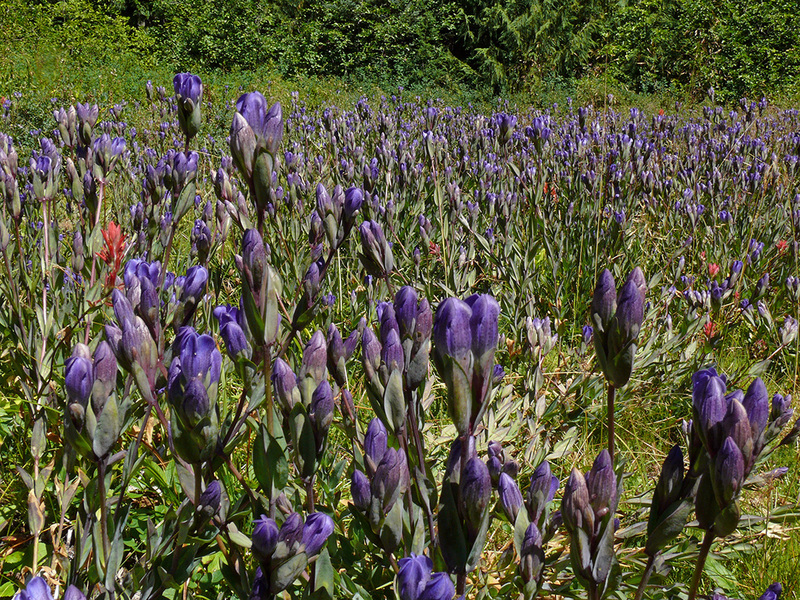 It had only been two years since my last trip to Pigeon Prairie and Little Pigeon Prairie (see Gentian Season at Pigeon Prairies), but John Koenig had never been there, and after seeing the gorgeous explorers gentian (Gentiana calycosa) on our trip to Bradley Lake the previous week (see Another Look at Aspen Meadow and Bradley Lake), I was anxious to see more gentians. 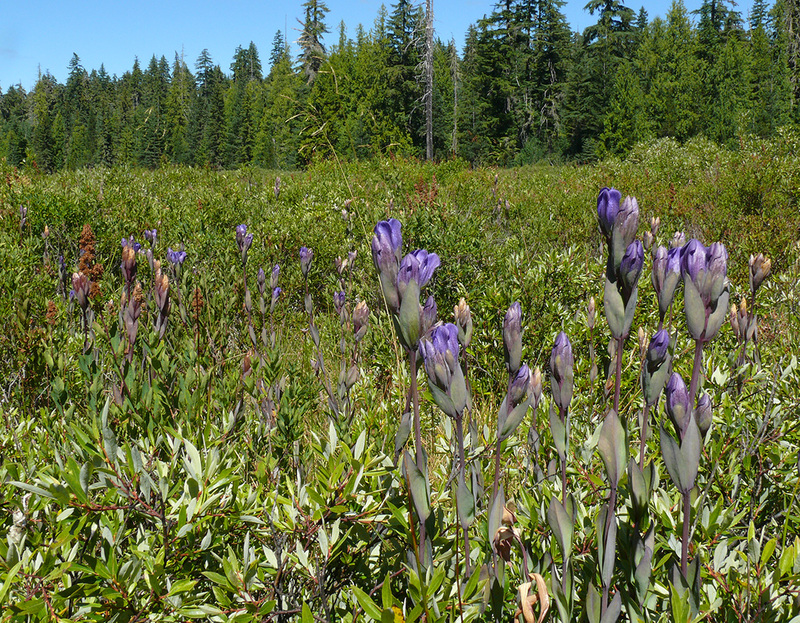 There’s a great show of king’s gentian (Gentiana sceptrum) at both prairies, so on August 10, we made the long drive north to Marion County to spend a lovely day exploring Pigeon Prairie with a short stop at Parish Lake Bog on the way home since John hadn’t been there either. 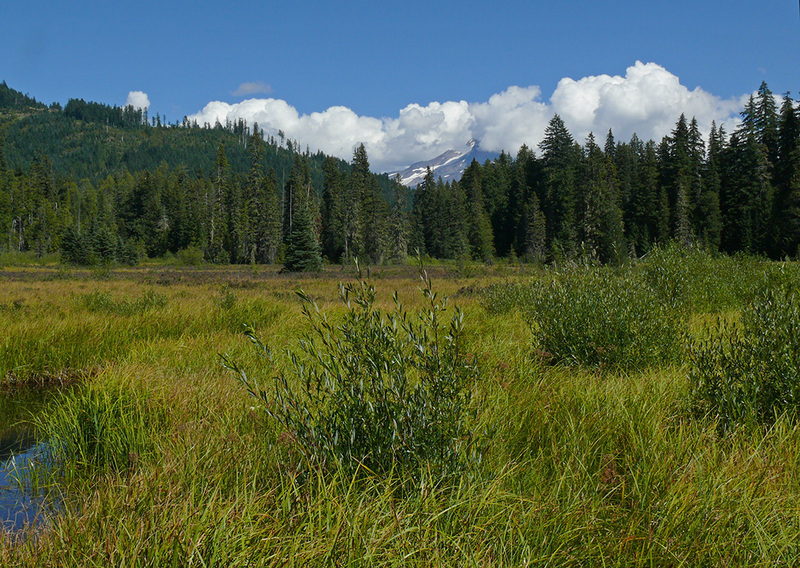 Nothing much new to report except that we saw lots of rough-winged swallows and more cedar waxwings chowing down on a huge gathering of some kind of insect (cranefly?) bouncing around above the surface of Parish Lake. 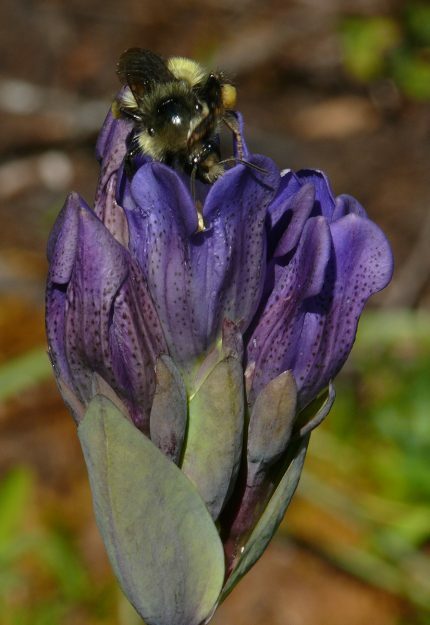 Still, I thought people might enjoy some photos of the gorgeous gentians at Pigeon Prairie. Even non-flower lovers would probably take pause at these statuesque purple beauties! Little Pigeon Prairie is fairly shrubby, but the gentians are growing everywhere between the Geyer’s willows (Salix geyeriana) and hardhack (Spiraea douglasii). While the sky was totally clear everywhere else, a thick layer of whipped-creamy clouds obscured the view of nearby Mount Jefferson. 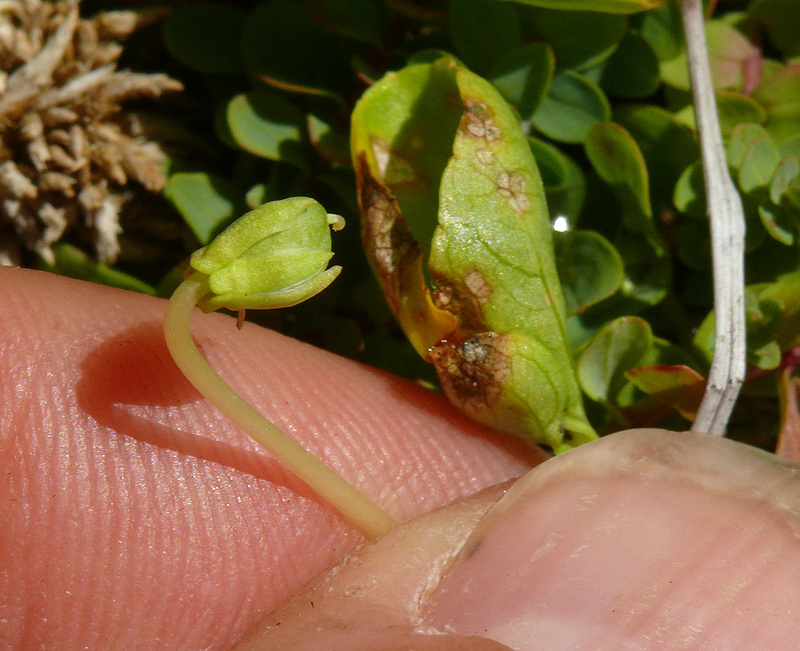 I’d learned from violet expert John Little that the stigmas seen remaining on the tops of seed capsules formed from cleistogamous flowers of violets (Viola macloskeyi here) are curved because they are self-pollinated. Those of the regular, insect-pollinated, showy flowers are straight. 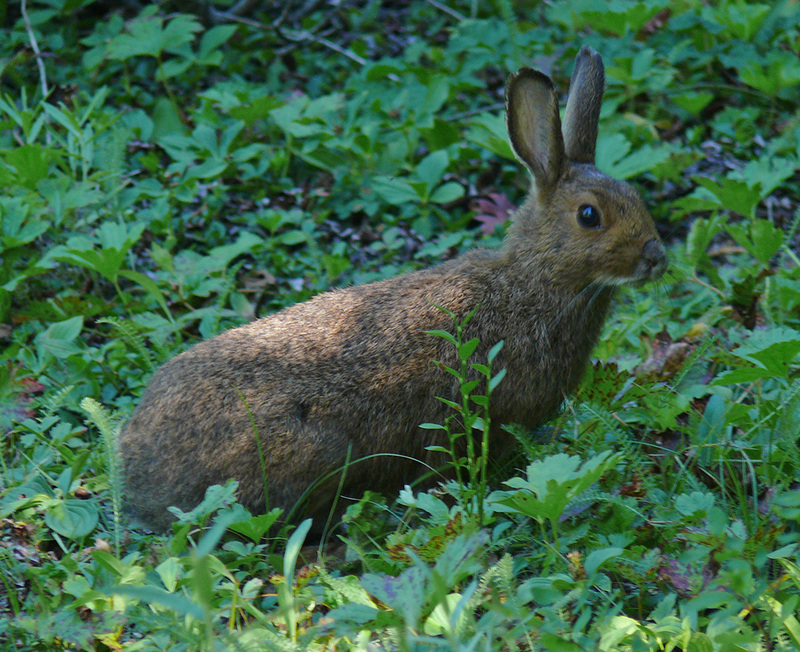 We saw this cute rabbit (snowshoe hare?) on our way back through the forest to the road. We saw another— a snowshoe hare that still had large white feet—when we stopped for a dinner break at Fish Lake on the way home.